Similar to the role of software and game content providers in iGaming is the primary function of Bitcoin exchange providers, and that is to deliver suites and packages that enable setting up an online cryptocurrency exchange. With constant innovations in the Bitcoin ecosystem, companies tasked to architect the framework of Bitcoin exchanges gradually gain more recognition as more conventional and Bitcoin-powered businesses take notice of their products. Some of the notable brands that offer Bitcoin and cryptocurrency exchange services integration are BTCTrader, AlphaPoint, and Crypto Next. Although these providers offer technically similar services, each has special specifications that complement the various genres of Bitcoin and online businesses. 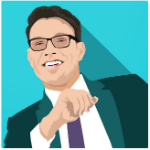 BTCTrader offers the best starting kit, which is a great advantage for Bitcoin startups. Its Bitcoin exchange package is not too complicated to understand and its required fees are wallet-friendly. Unlike the fixed rates typically charged, these fees come from a percentage collected by BTCTrader’s partners and clients. This guarantees continuous service and support, regardless of the performance of the Bitcoin businesses on board the BTCTrader platform. On the other hand, Bitcoin businesses that aim to make a distinction in the cryptocurrency niche through uniqueness can seek the aid of the new AlphaPoint features. Providing a more client-based set of services, on the other hand, is AlphaPoint. It offers a complete Bitcoin exchange integration that stands out with the bespoke interface, covering the preferred language, region, and fiat counterparts to accept, among others. Moreover, AlphaPoint is known for its speedy services. Compared to its competitors, this provider guarantees its clients to have their Bitcoin exchange up and ready in less than a month. Not to be outdone is Crypto Next, which excels in highlighting diversity in the cryptocurrency exchange system. It effectively integrated altcoins into the exchange, going beyond the conventional setup of catering to Bitcoin exchanges only. This exchange provider also allows clients to create their own virtual token for more fluid transactions on the platform. With Crypto Next’s token system, there is no need for clients to wait for miner confirmations and to pay chargebacks and transaction fees. As the market for cryptocurrency and fiat currency exchanges grows, the need for more online trading venues increases. Also heading toward this direction is the potential for Bitcoin and cryptocurrency exchange functions in online casinos and gambling websites. Bitcoin exchanges in casinos are deemed to offer a more efficient gambling experience since this will enable bettors of all currencies to immediately convert fiat to cryptocurrency, and vice versa. A real-money bettor will no longer need to search for online exchanges that processes fiat-to-crypto conversions since the casino itself offer the same service. To top it all off, these kind of bettors are certain that conversion fees are minimal as compared to third-party platforms. 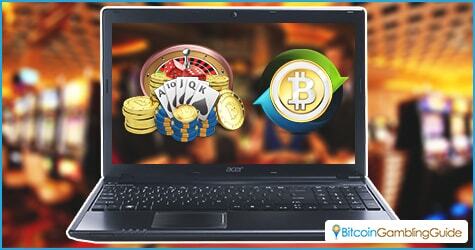 FortuneJack, one of the leading names in Bitcoin gambling, already features an in-house cryptocurrency exchange. Although this function is yet to add conversions for real money and digital currencies, it already provides a convenient process of exchange any of the 10 cryptocurrencies accepted as wagers to any of the Bitcoin games the casino offers. Integrating Bitcoin exchanges into casinos is an option Bitcoin companies, specifically those in the iGaming sector, should consider. 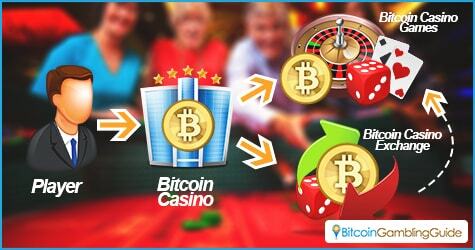 With the Bitcoin ecosystem and the Bitcoin casino market prepare to gain more ground in the mainstream market, introducing innovations such as this will be essential for their missions to materialize and their market success to happen.